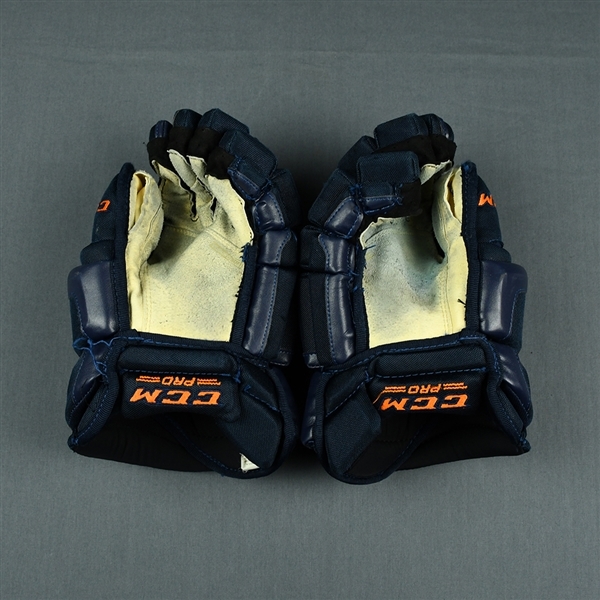 These CCM HG50XP Pro Gloves were worn by Connor McDavid from October 21, 2017 to November 30, 2017. They have been photo-matched to seven of the 20 games during the first quarter of the 2017-18 NHL regular season. 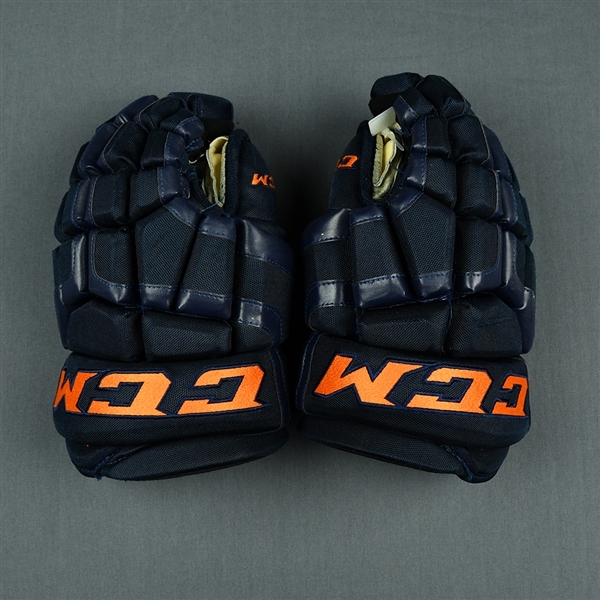 These gloves have been exclusively authorized for authentication and distribution by the Connor McDavid-Edmonton Oilers-MeiGray Group Game-Used Equipment Program, designed to protect the integrity of the budding NHL superstar's game-used items. 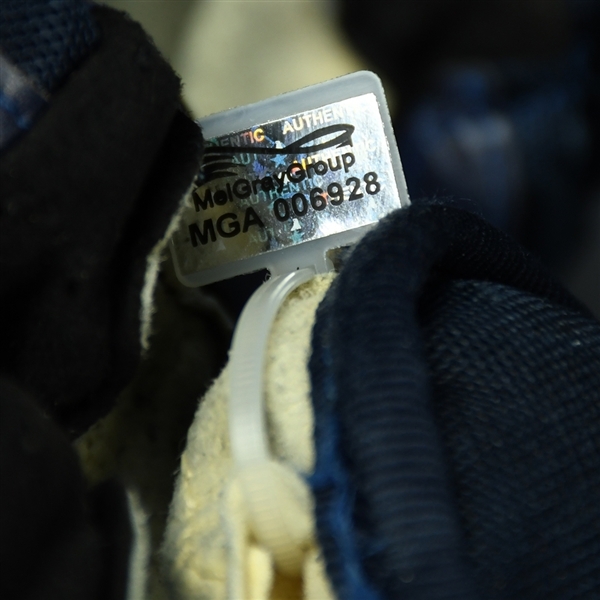 These gloves have been registered with hologram number MGA006928. 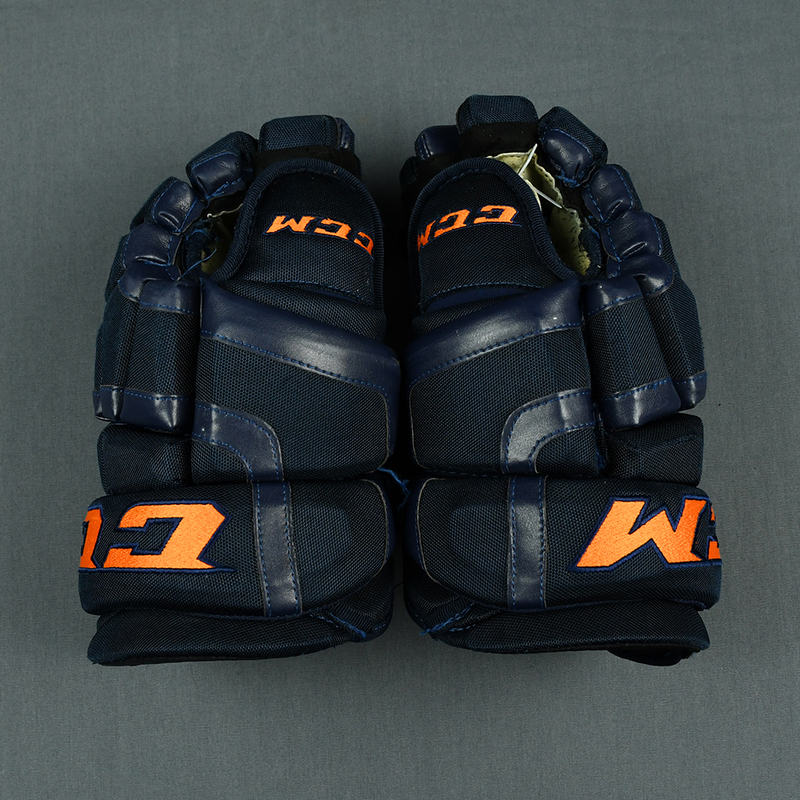 The hologram has been affixed to the thum of the right glove. MeiGray is the Official Game-Worn Jersey Source for the Boston Bruins, Columbus Blue Jackets, Edmonton Oilers, Nashville Predators, New Jersey Devils, Philadelphia Flyers, Vegas Golden Knights and Washington Capitals. Every jersey worn by each of these participating MeiGray Game-Worn Jersey Authentication Program clubs contains a uniquely numbered inventory tag sewn into the jersey BEFORE IT IS WORN BY THE PLAYER ON THE ICE.